The locker rooms were cramped. Too small for 20 hockey players gone beyond stir crazy. They could hear the pep band playing through the concrete walls. They could feel the electricity in the air. They knew the building was packed with family, friends and classmates. Those last few minutes waiting for the Zamboni to clear and the nets to be dropped were sheer agony. Gus Hendrickson was Grand Rapids’ coach in the mid-1970s. He might as well have been a zookeeper. 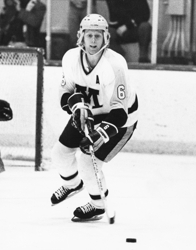 “Gus would give us the go ahead, and we would run through the door onto the ice,” said Bill Baker, a former Grand Rapids defenseman. “If anybody would be have been blocking the door, there would have been a pileup of 20 guys. The bleachers were jammed, and fans were stacked three deep standing around the boards at the IRA Civic Center. High school hockey was in its Golden Age in Grand Rapids, and Baker was savoring every second of it. As a freshman in 1972, Baker saw action on a varsity team that made the first state tournament appearance in program history. Baker didn’t make the Indians’ state tournament roster, but he had a front-row seat for their run to the championship game and eventual 3-2 loss to International Falls. The Indians returned to state in 1974, and this time the 6-foot-1 Baker, a junior, was the pillar of their defensive corps. Grand Rapids beat Minneapolis Roosevelt 3-2 in overtime in the quarterfinals and lost 4-2 to Bemidji in the semifinals. Baker had two assists as Grand Rapids beat Henry Sibley 5-3 for third place. Grand Rapids outscored its three opponents at the 1975 state tournament by a combined 16-3. The Indians routed Minneapolis Southwest 6-1 to win their first state championship. The Indians were accustomed to playing in front of large, and often hostile, crowds. Baker said that for trips to Coleraine, the team would dress before leaving Grand Rapids and arrive at the rink at the last possible moment. “We would dress in Rapids and we would come in about halfway through the JV game,” Baker said. “You couldn’t even go in the rink and hang out. Baker used his big frame and smooth stride to frustrate opposing forwards. He wasn’t afraid to dive in front of shots or mix it up in the corners. Baker also would lead an offensive rush on occasion. But with the Indians boasting an array of standout forwards (Rothstein, Erin Roth, Dan Lempe and Pete DeCenzo among them) there wasn’t a pressing need for Baker to ignite the offense. Baker, also a high school baseball and football standout, took recruiting visits to Harvard, Minnesota and Wisconsin. He settled on the Gophers and coach Herb Brooks, and won national titles as a freshman in 1976 and senior in 1979. 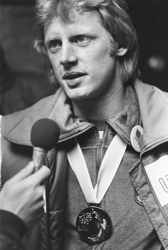 Brooks, the head coach of the 1980 U.S. Olympic team, picked Baker for the squad. 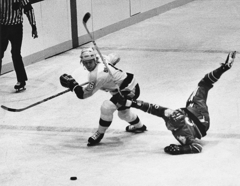 With the U.S. having pulled goaltender Jim Craig in favor of an extra attacker, Baker famously scored the tying goal in the closing seconds against Sweden in the opening round in Lake Placid, N.Y. That amazing finished allowed Team USA reach the medal round, where it engineered its “Miracle on Ice” upset of the Soviet Union. Baker went on to play in 143 regular-season NHL games. 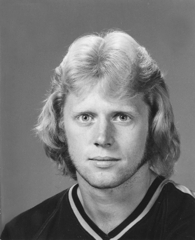 After retiring from pro hockey in 1984, Baker spent eight years completing his degrees in dental school and oral and maxillofacial school. He is the senior partner of Brainerd-based Oral Maxillofacial Surgery Associations. Baker lives in Brainerd with his wife, Diane. They have three children, Jessica, 25, Mike, 24 and Molly, 20.